Scouts, Inspectors and the “Shakers”. AS IF bees haven’t been observed enough during our time on this planet, there is and seems there always will bee, more to learn. 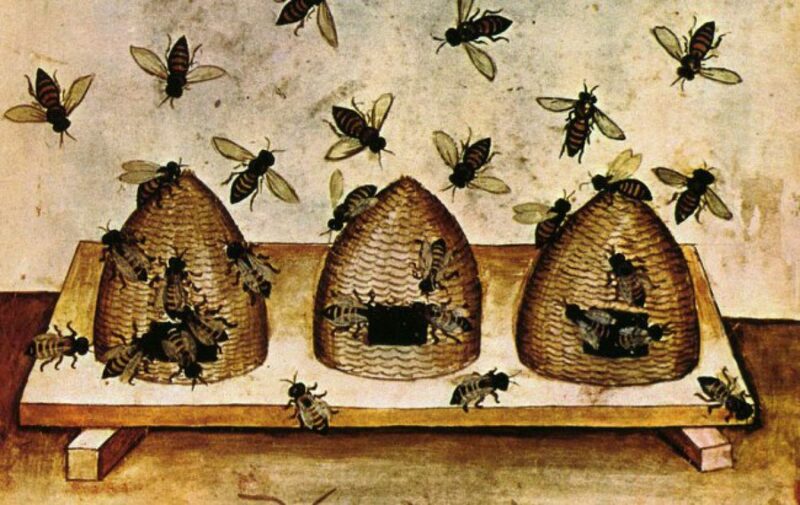 Dr. Heather Mattila’s fifteen years of research at Wellesley College in Massachusetts continues to define different classes of worker bees and their specialized jobs. Musing sidebar about research data gathering- the x-y axis of a graph: this high, this big, this far, time elapsed, is the graphic proof of scientific research. The numbers of data simplified to a crooked line (or a wavy one), some coloured apartment towers, dancing dots. In the watching and counting of the bees by a crew of research students, unquantifiable surprises are revealed. Ethology, the study of animal behaviour, is a word Professor (Dr. M) and Hobbyist (RitaK) stumbled over. Entomology being the Study of insects. Latin . . . it happens. If the Queen has been “well mated” with the biggest, strongest and fastest drones, she will provide offspring who will be the best of the foragers. The success of the hive depends on the efforts of the foragers and those graphs illustrate the benefits of diverse genetics. In the ‘zoo’ of bees, we learn of three classifications of the foragers resulting from Dr. Mattila’s research: There are the scouts, those bees who zoom away to find the sources of nectar- and don’t necessarily bring back anything, because they are on a quest with their sense of adventure and return long enough to relay the co-ördinates of location vis-á-vis the bee dance. Then we observe the inspectors (yes, we have bureaucrats and critics in the Hive) who ascertain the quality of the nectar payload. How the students observed this behaviour is still sketchy in my memory and notes from the lecture but what caught my imagination were the shakers. Yes, we have sleepy bees and those obnoxious early risers. How do you know a bee is sleeping? their antennae are drooping! and along comes one of those early risers, who climbs on top of sleepybeehead and begins to execute pounce-like movements and the day begins. So the Scouts, the Inspectors and the Shakers, remember that, I will. I’m glad you’re bee blogging. Did you ever get my comment on the last one? They should be read by more than a few..
Next Next post: Disaster averted! The Bee Blog by Rita Komendant Blog at WordPress.com.